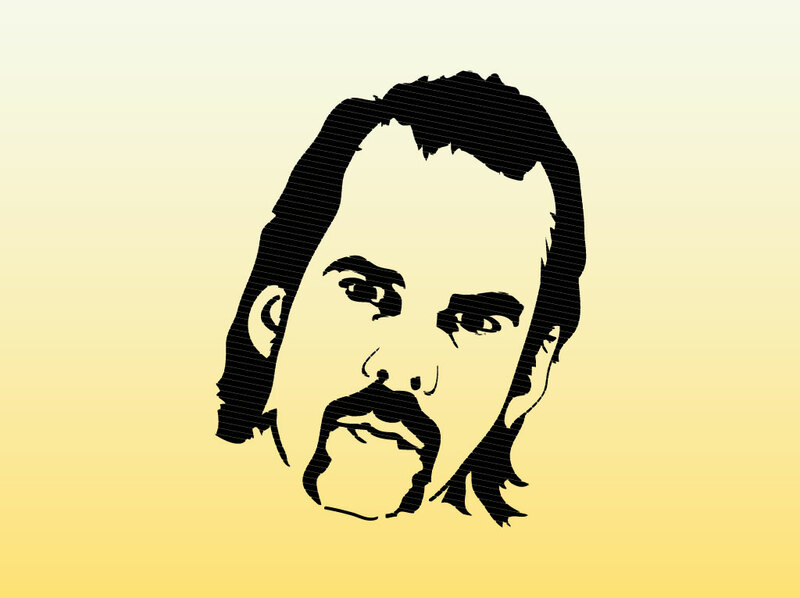 Simple vector portrait of the multifaceted artist Nick Cave. The graphic captures Cave who is highly respected as a musician, author and actor. Fans of Nick Cave and The Bad Seeds or the band Grinderman could find this free download useful for a tribute website or fan art. Tags: Actor, Bad Seeds, Cult Icon, Grinderman, Music, Nick Cave Vector, Writer.